Deadline to apply is 10 November 2018. Only shortlisted candidates will be contacted. Please do not send your certificates at this stage. No phone calls please. Only qualified applicants will be contacted. 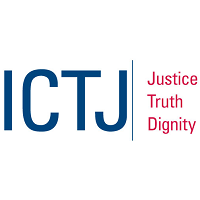 ICTJ will offer a competitive remuneration package for the successful applicant. Please note that ICTJ does not sponsor visas for work permits or provide a relocation allowance. Applicants who do not have permission to work in Tunisia will not be considered.